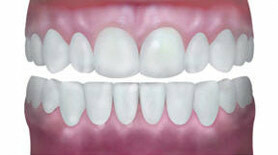 Bonding is a cosmetic dentistry procedure that enables the restoration of chipped, spotted, discolored or gapped teeth. 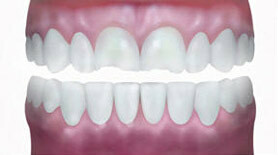 We use modern materials that match the shade, translucency, and texture of your teeth. Our goal is to have the end result appear as if no treatment was performed. This can do wonders for your self-confidence, since smiling will come naturally to you with the improved appearance of your teeth. Bonding is the material of choice when it comes to small defects in your teeth. When the defect or end result requires covering the entire front of the tooth, a veneer or crown will probably provide superior aesthetic results.